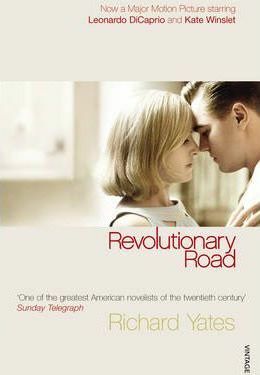 Hailed as a masterpiece from the moment of its first publication, Revolutionary Road is the story of Frank and April Wheeler, a bright, young couple who are bored by the banalities of suburban life and long to be extraordinary. With heartbreaking compassion and clarity, Richard Yates shows how Frank and April's decision to change their lives for the better leads to betrayal and tragedy. Hailed as a masterpiece from its first publication, Revolutionary Road is the story of Frank and April Wheeler, a bright, young couple who are bored by the banalities of suburban life and long to be extraordinary. With heartbreaking compassion and clarity, Richard Yates shows how Frank and April's decision to change their lives for the better leads to betrayal and tragedy. "Easily the best novel I've read this year"